If the IPVB or TDF Inline Power Venter are not the right fit for you, the BPV Power Venter is your choice. It is available for small as well as large applications. It can be installed inline where a horizontal breeching connects into a common vertical. By adding an exit cone to the discharge, it can also be installed outside at the termination point where it ensures a mechanical draft in the entire chimney or stack system. It works well with condensing and non-condensing, gas-fired and oil-fired boilers and water heaters. 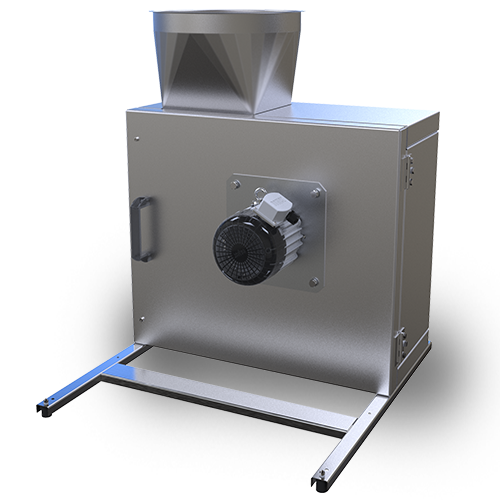 It can even be used for other applications with high-temperature exhaust air such as generators, solid-fuel-fired ovens, boilers and more. Like the TDF, BPV has the highest temperature rating (1400°F / 1800°F intermittent) of any UL-listed Power Venter on the market.